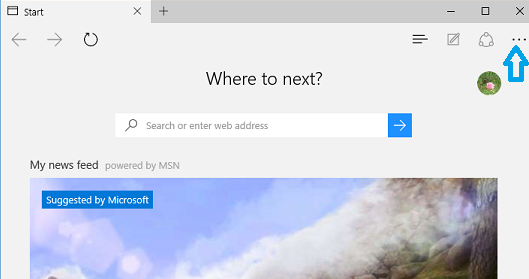 In Windows 10 you can pin your favorite or frequently used website to Start menu from Microsoft Edge browser and quickly open it later by a click on website live tile in Start Menu. 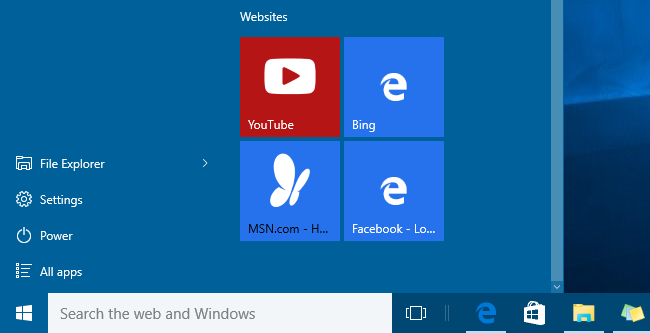 Use below steps to Pin any of your favorite or frequently used website to Windows 10 Start menu. 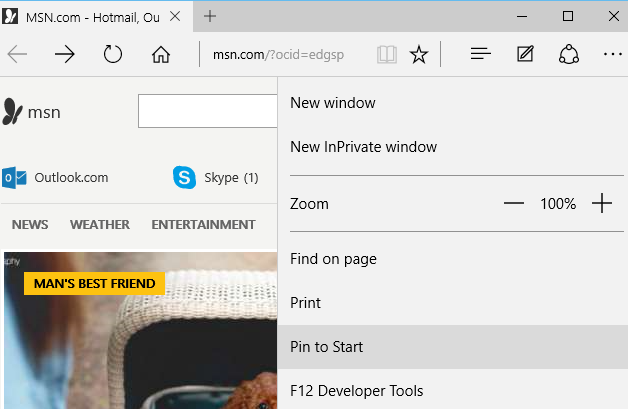 Open website url that you want to Pin to Start menu in Microsoft Edge browser. In "More actions" menu, Click on "Pin to Start" to pin website to Start Menu. 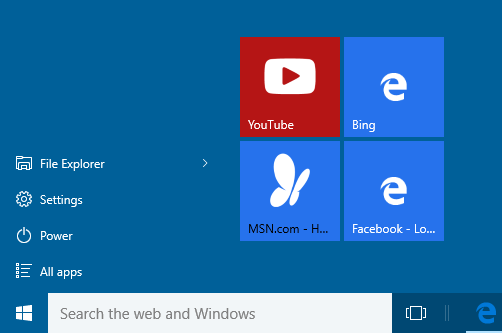 This will add a live tile with website title as tile name in Windows 10 Start menu. Next time you want to open this website, simply click on pinned website live tile on Start menu and website will open in Microsoft Edge browser.